My reply: Today’s market is both a buyer’s and seller’s market. The key to get the best buy on a an investment is an aggressive broker working on behalf of a strong qualified buyer, Cash is great, however a well qualified buyer can negotiate just as aggressively as an all cash buyer: Therefore: YES, low bids are OK.
“Cash is King.” Every seller likes to find a secure buyer who doesn’t need to wait for loan approvals, underwriting, etc. If you have access to cash, use it to drive down the sale price. Most homes are bought with a mortgage, of course. Be sure to have your lender pre-qualify you . . . or better yet, get pre-approved by completing the entire loan-application process prior to finding “The House.” I can introduce you to several excellent lenders who give my clients consistently great service. Submit a large deposit (at least 1%-2% of the home’s price). Remember that your “good-faith” deposit is normally refundable if you cancel the purchase for any reason during the initial “inspection contingency” period. Offer a short closing date (30 days maximum). If you’re buying with cash (or your lender has pre-approved you), a powerful strategy is to offer a close of escrow in 10-20 days! This is most effective when buying a vacant home. Ask for NO repairs or cleanup, and only the bare-bones seller-paid inspections. While I do encourage all buyers to thoroughly inspect their investment – – – using suitable professionals – – – it’s customary to ask a seller only to pay for a pest inspection. 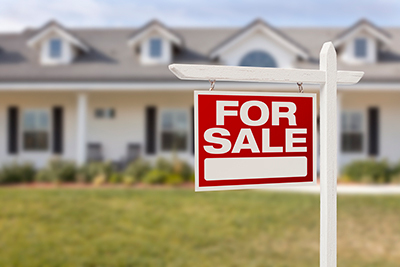 For a property with a well and/or septic system, there are usually more inspections at seller expense; let’s talk! Offer an inspection “contingency period” shorter than the standard 17 days. My team of responsive vendors can often provide professional inspections in just a few days. All of these strength-builders can sweeten the taste of your “lowball” offer. CALL if you’re ready to make a purchase!